With a wife he loves and an exciting London-based career, architect Charles Waterston's life seems in perfect balance. Nothing prepares him for the sudden end to his ten-year marriage -- or his unwanted transfer to his firm's New York office. Christmas is approaching when Charlie leaves New York, heading to Vermont to ski. But a sudden snowstorm strands him in a small Massachusetts town. There Charlie meets an elderly widow who offers to rent him her exquisite lakeside chateau. Hidden deep in the woods, it once belonged to a woman who lived there two centuries before named Sarah Ferguson. And from the moment Charlie sets foot inside the chateau, he feels her presence. When Charlie first glimpses her, a beautiful young woman with jet-black hair, he thinks it is a neighbor playing a joke. Until he finds her diaries hidden away in an old trunk. As he begins to turn the brittle, dusty pages, the spirit of Sarah Ferguson seems to fill his life. Sarah's first entry is dated 1789 as she writes of her harrowing journey from her native England, having fled the brutality of her aristocratic husband. Settling in Massachusetts, Sarah finds an unfamiliar land seething with the turbulence of the Indian wars. As she builds her home in the wilderness and meets a man who will transform her life, Sarah finds freedom from the torment of her past. His name is Francois de Pellerin, a French nobleman adopted by Indians and drawn into the battle for the growing nation. Their fateful union is a testament to a love so powerful it reaches across the centuries. And for Charlie Waterston, their story gives him the courage to let go of his past, and the freedom to grasp a future that is right before his eyes. 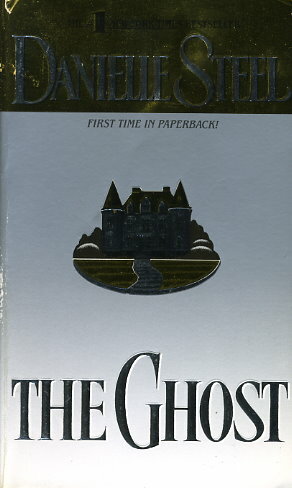 In The Ghost, Danielle Steel brilliantly interweaves past and present, bringing to life two stories, centuries apart, in a timeless novel of courage, healing, and love.